Fairway Independent Mortgage Corporation is a premier Mortgage Lender combining national strength with a hometown heart. Our branch is located here in Phoenix, Arizona and a member of the Better Business Bureau for over 14yrs with a perfect A+ rating. We are also very proud to be one of the Best of Yelp Mortgage Lenders in the Phoenix Metro Area as well as receiving over 240 + five star ratings on Google. We are happily serving cities in Arizona such as Phoenix, Scottsdale, Glendale, Surprise, Peoria, Mesa, Tempe, Gilbert and Chandler. We also originate loans in cities outside the Phoenix metro area such as Sedona, Prescott, Flagstaff and Tucson. We are a banker as well as a broker. We take pride in giving excellence in service, so you will refer your friends and family to us. The entire mortgage experience is in the Phoenix area. Right from the beginning with originating the loan, to processing, underwriting and closing.  This is very important because many lenders and their operations are out of state. We have relationships with many different lenders and we can offer loan programs for purchases and refinances. Some of them include Conventional, FHA, VA, Jumbo, USDA, reverse mortgages and renovation loans. There is rarely a product we do not have. Our primary focus is exceptional service with one purpose, exceeding your expectations. We can guide you to the right loan amount and perfect program for you. Based on standard lender guidelines, we'll get you a good idea of what kind of terms and loan program you can expect to benefit most from.